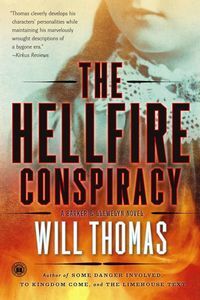 The Hellfire Conspiracy by Will Thomas, a Mysterious Review. Special thanks to guest reviewer Betty of The Betz Review for contributing her review of The Hellfire Conspiracy. Acknowledgment: Touchstone provided a copy of The Hellfire Conspiracy for this review.